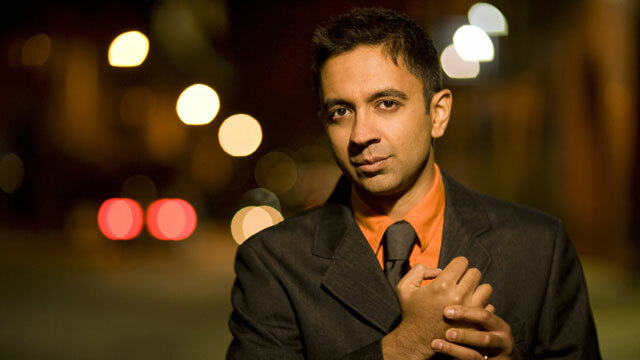 Vijay Iyer has developed something of a reputation for edge-of-the-seat virtuoso risk-taking. Break Stuff seems to be the absolute antithesis of that: a selection of short pieces evoking atmospheres of longing, ebullience and nostalgia. Universal emotions are at work here: even if you leave the title aside, you will find something to enjoy immensely, discover or identify with. Mr. Iyer’s playing is eloquent indeed: his voicing is expertly balanced in the exquisitely soaring “Starlings” opening chart, the phrasing sings wonderfully in “Chorale” the fingerwork is scintillating in “Diptych,” “Hood” and especially Thelonious Monk’s “Work”. In all of this and more the lively participation of bassist Stephen Crump and drummer Marcus Gilmore only serves to reinforce the seal of this three-way partnership. Throughout it all Mr. Iyer sings. His is a breathtaking, sinuous, otherworldly voice, making for a performance that simply gets under your skin because you are beguiled and mesmerised by the masterly performance. Mr. Iyer is a pianist who is heart-driven although he might sometimes veer towards the cerebral. His pre-eminently ascetic use of the sustaining pedal creates a clarity which is tinged with dryness, yet he is prone to romantically portentous “rallentandos” that seem to appear out of nowhere, sometimes soon after a particularly rapid glissando and because he is compelled by the heart his lines are often slurred like dramatic arcs that curve through the air in parabolas; or they might often break free of those imaginary shapes only to lope and swerve like lines born of French curves. In any event, the geometry of Vijay Iyer’s pianism is exceptionally beautiful. Together the group fashions each piece with unfamiliar motifs and when they get going—which is often—the music produces melismas that are absolutely glorious. Despite the deep and soulful nature of the playing, there is much to savour in the intellectual rigour and the group’s performance of – “Break Stuff” for example is fashioned with impish eccentricity while also being bright and exhilarating. These charts are by no means easy in the manner in which they have been conceived. They are hugely demanding works and the trio responds with mastery par excellence, Mr. Iyer leading the way with his special brand of poetic intensity. His pianism is restlessly articulate and this provokes the other members of the trio to respond in like manner. The collective performances are hammered home with ferocity. And yet how refreshing to experience a recital that is also thoughtful, that conveys its profoundly revolutionary zeal through ingenious fluctuations of texture and revelatory harmonic tectonics. Vijay Iyer offers the last word in “Wrens” which takes us back to the familiar aviary of songs, in a manner that puts subtlety before force displaying a captivating ability to illuminate even the most densely packed musical terrain with phrases and lines that are propelled rather than merely embellished by mystical ripplings and flutterings on this album that is quite literally a celebration of magically conveyed sonorities by fleet-fingered touch ideal for the breathtaking programme on this memorable record. Track List: Starlings; Chorale; Diptych; Hood; Work; Taking Flight; Blood Count; Break Stuff; Mystery Woman; Geese; Countdown; Wrens. 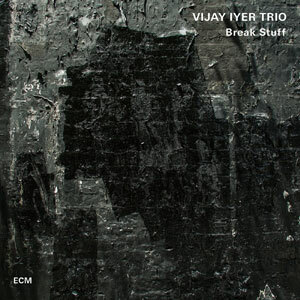 Personnel: Vijay Iyer: piano; Stephen Crump: double bass; Marcus Gilmore: drums.